You don't need to purchase a physical license. What you buy is just the Product Key + Download Link because that's all You needs! 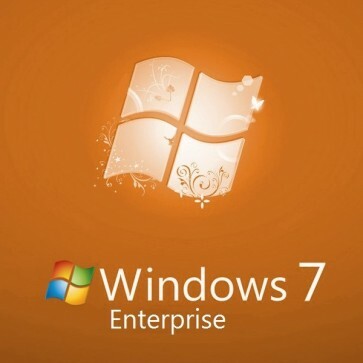 Windows 7 Enterprise targeted the enterprise segment of the market and was sold through volume licensing to companies. Most of the additional features include support for Multilingual User Interface (MUI) packages, BitLocker Drive Encryption, and UNIX application support are for IT Professionals. AppLocker: Ability to decide which code gets executed and which not. This feature only available for Enterprise PCs. Enterprise Search Scopes: Making it easy to discover and search intranet sites can help organizations maximize their return on these investments. Multilingual User Interface: With MUI, each user would be able to select their own preferred display language without changing the core binaries of Windows 7 Enterprise.